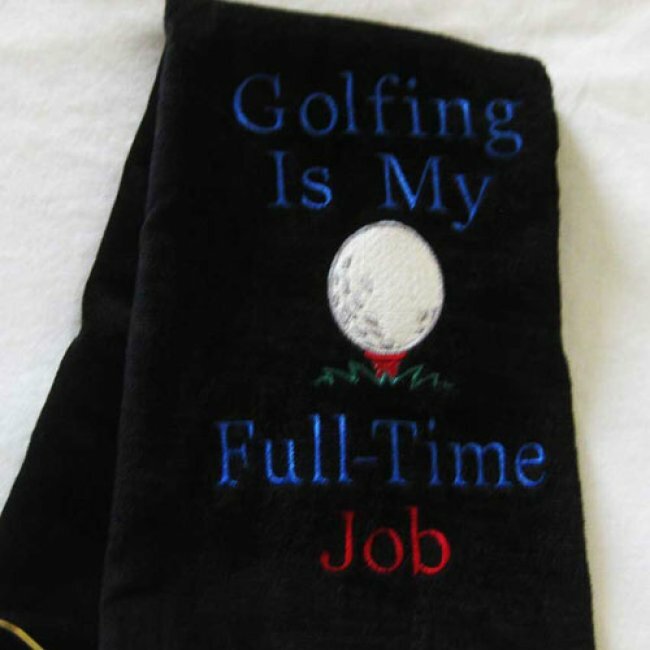 This golf towel is for the golfer, whether the golfer is a pro or not. The golf towel features a golf ball in the center with the words, Golfing Is My Full Time Job. The tri-fold black golf towel measures 27 inches long.